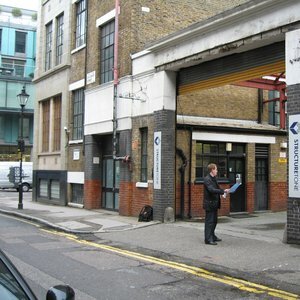 The Revels Office was initially located in the old Priory buildings adjacent to St John’s Church on the west side of St John’s Street, Clerkenwell, from 1578 to 1607, before eventually moving to three other sites. The second of these was at Whitefriars (next to the indoor theatre), where it stood from 1608 to 1611. The third Revels site was at Peter's Hill from 1612 to 1630, with the final office at Cheapside from 1630 to 1642. 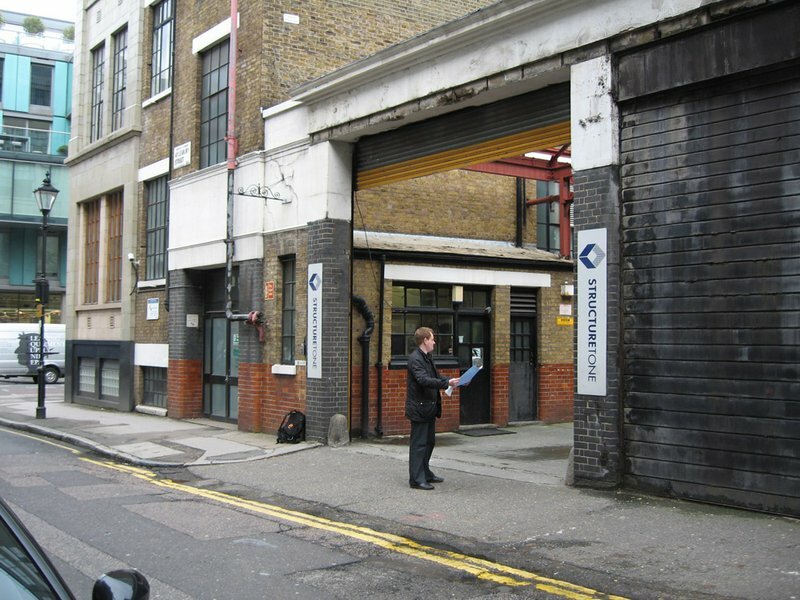 Turn left out of Barbican Underground Station and walk north along Goswell Road, crossing Clerkenwell Road into St John’s Street. Continue north along the west side of St John’s Street and halt at the corner with Aylesbury Street, opposite Tesco’s supermarket. The first Revels Office was in Sir Edmund Tilney’s mansion, sited along the beginning of Aylesbury Street on its south side.